All hail Akpos Okudu! 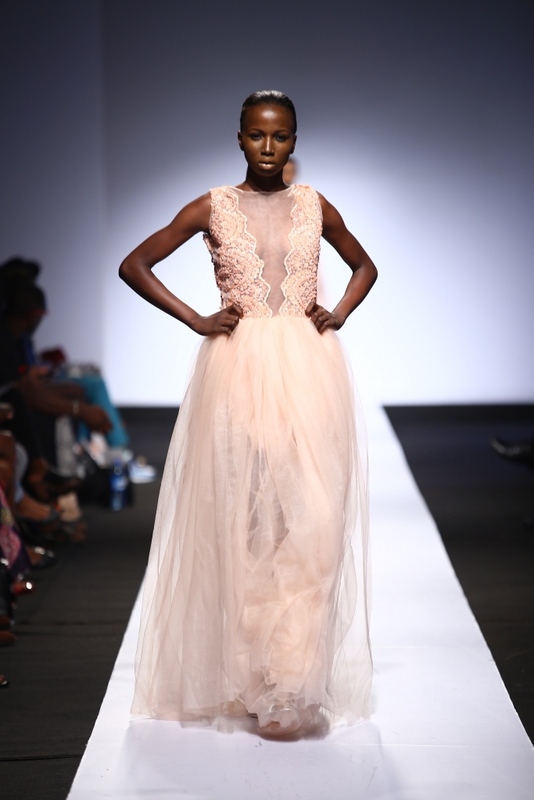 I mean, if there was any fashion outing at the Lagos Fashion and Design week that stole my heart, it would be Akpos Okudu. 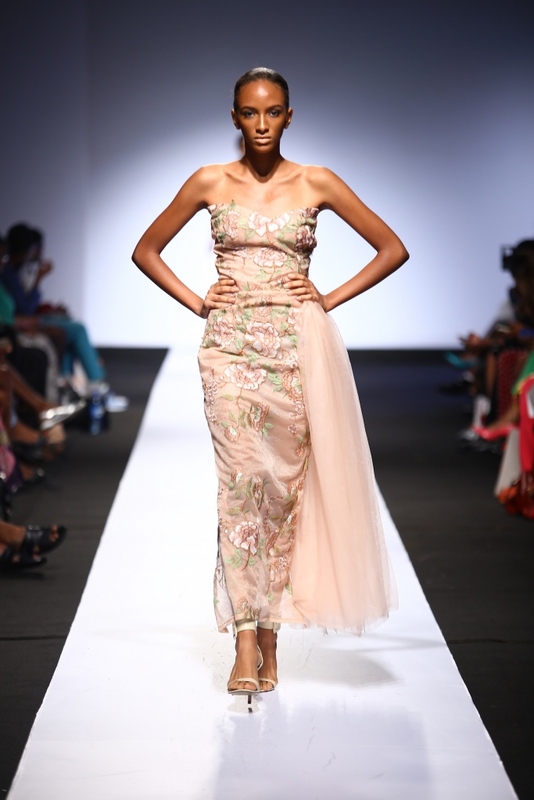 Here is a designer whose collection thoroughly evoked the spirit of unconstrained elegance and a strong femininity. 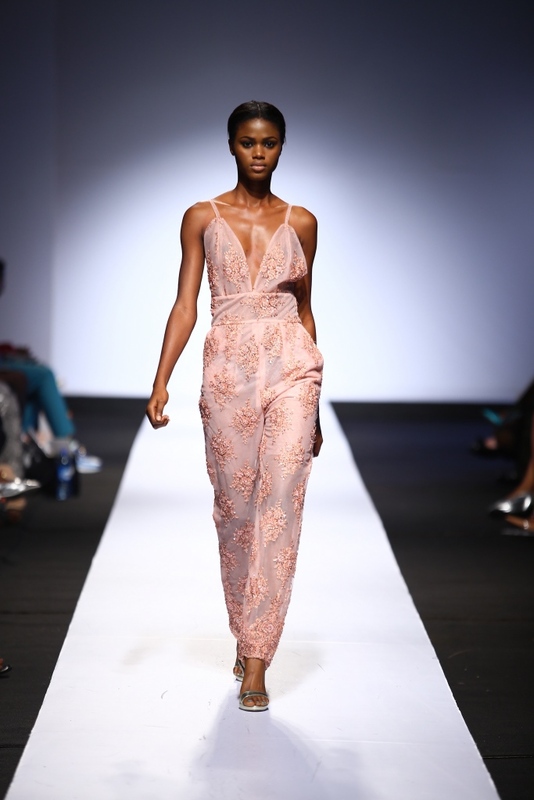 You know a designer has a hit on her hands when more than one woman on social media is uttering the same breathless line, “I want every single piece.” Akpos Okudu’s intense focus on the silhouette of any confident and beautiful woman made this a brilliant show. But it was the workmanship that made each piece oh so special—they were very obviously painstakingly cut, given the lightness of the fabric. 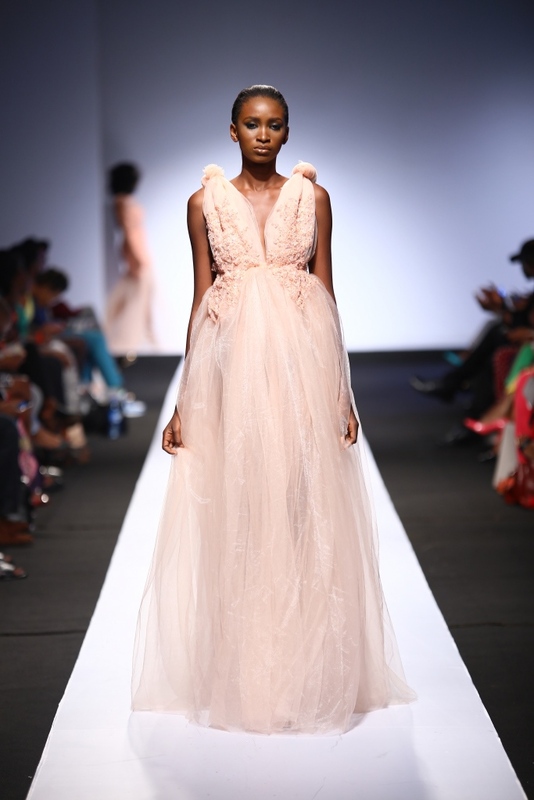 But the finished product was an ethereal blush affair, the type that has people gushing “All hail Akpos Okudu” for raising the bar on fashion and style from an African perspective. Take for example the first dress above, the embroidered bodice, floral with wispy gleaming petals, pin-tucked at the shoulder, edged with a V-neck that cascaded into a lush tulle A-line skirt. It will cost a fortune I’m sure, but it’ll be worth every cent. 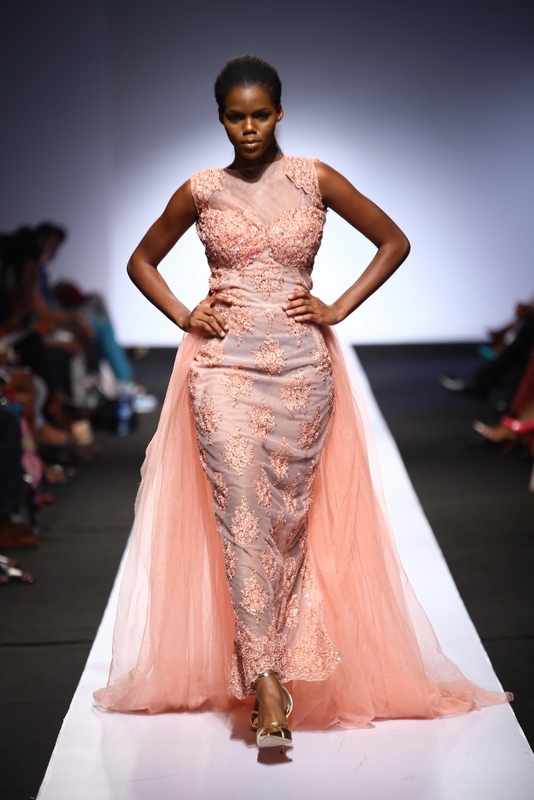 As if that wasn’t enough, the real stroke of genius, was just how deftly her ethereal vision was filtered into a finale piece above, an A-line dressed that was sprinkled with ruffles all over in beautiful blush colors and an embroidered deep V-neck top tracing the natural curves of the body. 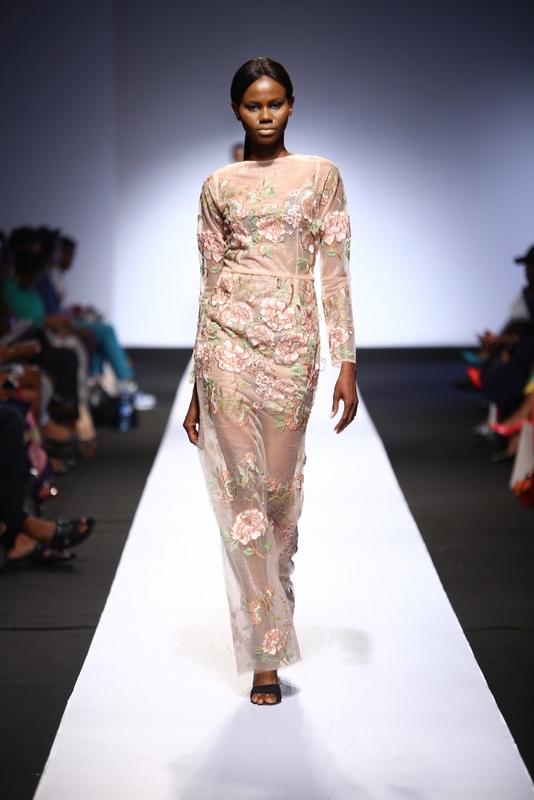 Akpos Okudu’s experiment produced her collection’s best piece, which was magnificent to see. It sizzled as it came down the runway. Clearly Akpos Okudu is about making women look and feel confident. 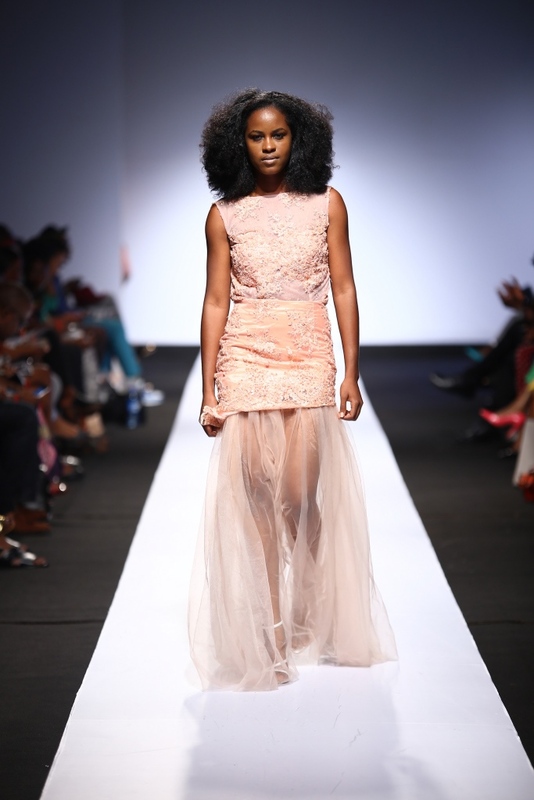 She did so elegantly at LDFW. And from the social media comments, there wasn’t a man or woman who wasn’t seduced. So please join me as I once again say “All hail Akpos Okudu! for this brilliant outing.